Our Service Excellence Awards were created to bring recognition to the best builders, remodelers and home services professionals. Winners in GuildQuality’s various award programs are businesses who exemplify quality in their pursuit to deliver exceptional service. Our annual Guildmaster Awards celebrate service excellence among a very high caliber group of homebuilding and home services professionals, our members. 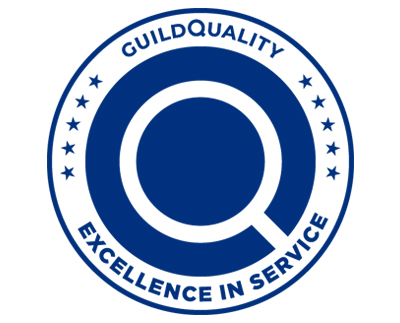 Since 2005 GuildQuality has given special recognition to the members that demonstrate an ability to deliver a consistently superior customer experience. In granting awards, GuildQuality considers two primary metrics for each candidate: the percentage of customers who would recommend and the percentage of customers who responded. 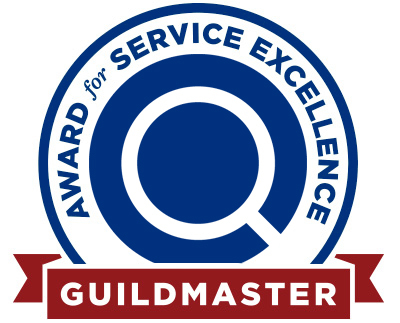 GuildQuality powers a number of service excellence awards annually for our partners. This year we highlighted exemplary customer service delivered by members of the Pella Certified Contractor program, James Hardie Contractor program, the Certified Contractor Network, and attendees of Hanley Wood’s Replacement Contractor Executive Conference.